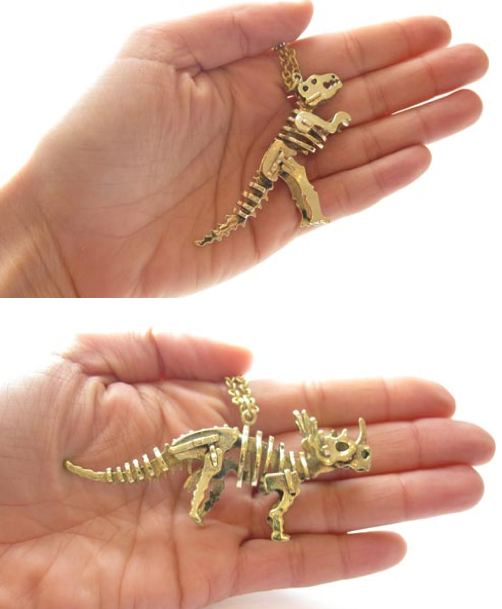 Oh i have been waiting for those two necklaces to come back in stock for ages and now i can't decide with which to go... i mean... i just love love love dinosaurs (also this lovely Topshop tee). so what do you say? which one is better? i love these necklaces ive seen them before but wasnt sure how heavy or practicle they'd be, i think i may give in though! pictures taken by Kat-Face or taken from shops in which case linked. Simple theme. Powered by Blogger.